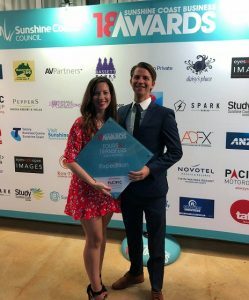 Australia’s only dedicated polar expedition cruise agency, iExpedition.com, won the Tours and Transfers – Small Business Category in the 2018 Sunshine Coast Business Awards, after only its first year of trading. The Awards provided a chance to stop, collaborate and listen to the region’s top talent at the annual event. Normally focused on cooler destinations, iExpedition felt the Sunshine Coast heat waiting for their category, the last of the evening. Back with their brand new platform – an online expedition cruising search and book engine with the largest collection of cruises to Antarctica and the Arctic available online – iExpedition took out the award from a category of 9 finalists. Ben Alexander, Director of iExpedition.com commended his team of supporters and the local business community on the win and the success of the past 12 months. iExpedition is excited to continue their own expedition, providing transparent information, expertise and prioritising customer service excellence across 1,000 voyages to our polar regions. We love sending Australian and international travellers on their journey of a lifetime and returning them as champions for our incredible planet. iExpedition is sharing that winning feeling! 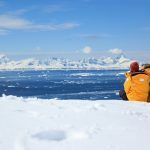 Visit iExpedition.com and sign up to their newsletter on their homepage to receive a $250 per person cruise voucher, while your there explore their exciting selection of Antarctic and Arctic expeditions cruises.